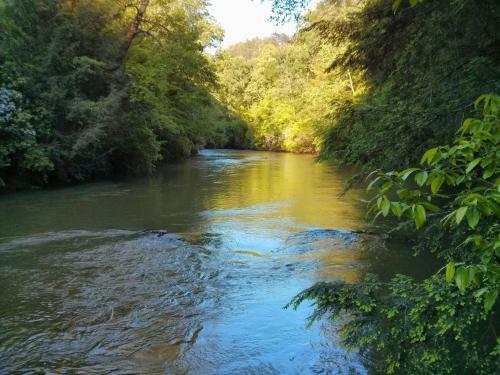 Find places to stay in Dahlonega, GA and other fun things to do. View our list of attractions, activities, events, restaurants and visitor information. Currently as low as $80.50/night! Featuring free WiFi throughout the property Barefoot Hillsoffers pet-friendly accommodation in Dahlonega 43 km from Blue Ridge and a 10 minutes' drive to Woody Gap. Free private parking is available on site. Free Internet, Pets Allowed. Situated in Dahlonega in the Georgia region Cabin in N GA Dahlonega near Helen features a patio and mountain views. This holiday home offers barbecue facilities.The holiday home includes 3 bedrooms a bathroom with free toiletries a living room and a kitchen. Offering free Wi-Fi and breakfast plus rooms with microwaves and refrigerators the pet-friendly Super 8 Dahlonega GA also has a seasonal outdoor pool. All 60 rooms at this two-floor hotel feature free Wi-Fi cable TVs with HBO microwaves and refrigerators. Free Internet,Outdoor Pool, Pets Allowed. An outdoor pool free breakfast and rooms with microwaves mini-fridges and free Wi-Fi are offered at the Days Inn Dahlonega. All 40 rooms at the two-story hotel provide free Wi-Fi microwaves refrigerators and cable TV. Free Internet,Outdoor Pool, Free Breakfast, Non Smoking Rooms. 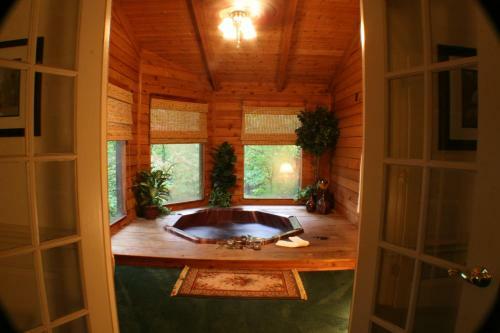 Located in Dahlonega Georgia this mountainside resort features on-site horseback riding and a full spa. Guests can enjoy access to a swimming pool as well.A flat-screen TV comes standard in each room at Forrest Hills Mountain Resort and Conference Center. Free Internet,Outdoor Pool, Restaurant, Non Smoking Rooms. Currently as low as $109.79/night! A prime location near North Georgia mountains and outlet shopping free Wi-Fi an outdoor pool and a free continental breakfast are reasons our guests pick the Holiday Inn Express Dahlonega Georgia. Free Internet,Outdoor Pool, Free Breakfast, Non Smoking Rooms. 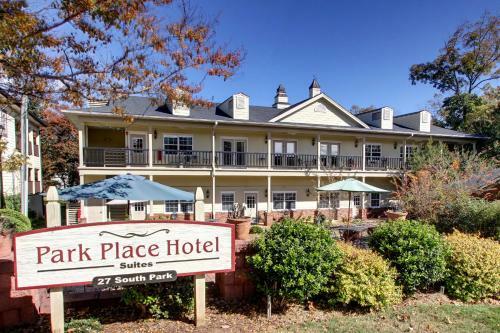 This family-owned Georgia hotel is 8 minutes' walk from North Georgia College and State University. Guests will enjoy free property-wide Wi-Fi and a sun terrace. Free Internet, Non Smoking Rooms. Currently as low as $69.70/night! An outdoor pool well-equipped rooms with free Wi-Fi and free continental breakfast are features of the Quality Inn Dahlonega. This low-rise Dahlonega hotel provides free Wi-Fi microwaves refrigerators and coffeemakers in all 42 rooms; some rooms have jetted tubs. Free Internet,Outdoor Pool, Non Smoking Rooms. The Dahlonega Square Hotel features rooms in Dahlonega. This 5-star hotel has air-conditioned rooms with a private bathroom. The hotel also offers free WiFi and free private parking. Non Smoking Rooms. 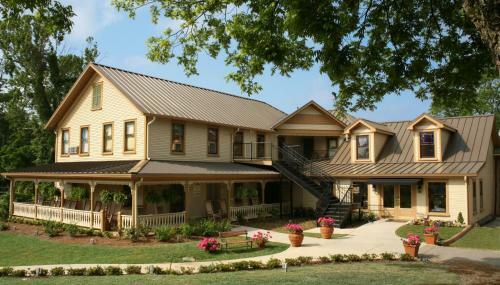 The Smith House offers accommodation in Dahlonega. This 3-star inn offers free WiFi. Guests can enjoy city views.All rooms in the inn are fitted with a TV. The rooms come with a private bathroom with free toiletries and a hair dryer. All units feature a desk. Non Smoking Rooms.